MG Alexander M. Patch, Jr.
As the "square" divisions of the National Guard were being transitioned to the triangular division TO&E in 1942, they each "shed" an infantry regiment, leaving several trained and operational "orphan" regiments available for independent service. The "line" regiments selected to form the Americal Division were the 132nd Infantry Regiment from Illinois, formerly part of the 33rd Infantry Division, the 164th Infantry Regiment from North Dakota, formerly part of the 34th Infantry Division, and the 182nd Infantry Regiment from Massachusetts, formerly part of the 26th Infantry Division. New Caledonia, a likely target for the Japanese for its critical strategic position on the lines of communication with New Zealand and Australia and its nickel and chromium mines, was now under the control of the Free French with a poorly equipped and trained native force and a company of Australian commandos. The United States Army was already building airfields with Australian labor on the island which according to early agreements fell into the British sphere and delegated to the Australians for defense. The French objected to the arrangement and, increasingly worried about Japanese invasion being attracted by the airfield, demanded additional American forces. With pressing needs to build up defenses in Hawaii and Australia, Army planners decided to put together a force rather than commit an already organized division. The regiments available through the reorganization of divisions along with other elements made available a force of about 15,000 men. This force, designated Task Force 6184 and often mentioned as Poppy Force (New Caledonia was code named Poppy), under Brigadier General Alexander M. Patch, Jr. had the elements of a division and more in its composition. For example, there was a brigade headquarters from the 26th Division, two infantry regiments and a field artillery regiment along with support elements augmented by a battalion of light tanks, antiaircraft and coast artillery regiments and a pursuit squadron. The force's mission was to hold New Caledonia. It was an independent command, directly under the War Department in Washington. Within two weeks, despite an urgent need of shipping elsewhere and at the cost of delaying and rearranging schedules elsewhere and consultations at the head of state level, Task Force 6184 along with some 4,000 troops destined for Australia were assembled in the largest single troop convoy up until that time, designated BT-200 and totaling over 20,000 troops aboard seven transports,. [note 1] The convoy sailed from the New York Port of Embarkation on 23 January 1942[note 2] and reached Melbourne on 26 February. This large and critical convoy was covered by a striking group and long range air between its intended position and Japanese forces arranged by Admiral King (COMINCH) with Admiral Nimitz (CINCPAC). Despite some desire locally to use the force to reinforce Australia or the Netherlands East Indies, under direct orders from Washington the force moved secretly, not even informing the French, to New Caledonia. Transshipment of troops and equipment was completed in Melbourne and the seven transports departed on 7 March (Australian time) for New Caledonia as convoy ZK-7, arriving six days later. General Patch, preceding the force by air, had arrived on 5 March with news for the French that American forces were underway. Despite having no early prospect of reinforcements, another infantry regiment arrived in April, along with the authority to organize an infantry division from elements of the overall force and, in May, the Americal Division was organized. On 14 March 1942, two days after the task force later to be known as the Americal Division landed in Nouméa, New Caledonia, the 182nd Infantry was detailed to provide a special unit to be called Force A for advance occupation and outpost of the New Hebrides, a group of islands lying directly across the supply to United States. Assigned to this duty were companies L and M and attached elements from Headquarters Company, Service Company, the Medical Detachment plus a platoon of the 101st Engineers. The total strength being in the vicinity of 480 men was under the command of Brigadier General Rose. That a brigadier general should be placed in command of two infantry rifle companies indicated the degree of importance, and hazard, that G.H.Q. placed upon the mission. Mainly though it was so he could deal directly with the highest local French authorities. The men were assembled and told that Force A and 50 Australians held the most advanced outpost of the Allied Forces in the South Pacific along with Australian forces at Port Moresby, Papua. No retreat was possible, no reinforcements could be relied on. Supply was unreliable and limited. On 28 March 1942, a unit of Force A left an isolated coconut plantation called Euralia for Port Havanah with two 2nd lieutenants and 22 men on a small auxiliary sailboat with equipment and 10 days' rations to begin their 'guerrilla' action by gathering the native headhunters and plantation workers from the nearby islands as reinforcements. In contrast to several other US Army divisions in the Pacific War, soldiers in the Americal division received extensive weapons training as well as company- and battalion-level exercises in jungle terrain while at New Caledonia. Under the command of General Patch, the Americal Division was the first US Army unit to be sent to Guadalcanal. Largely because of transport constraints, the Americal arrived piecemeal and was fed into combat alongside the battle-hardened and exhausted US 1st Marine Division, which it eventually relieved. Its soldiers were quick to assimilate from the Marines on Guadalcanal lessons on battle tactics against Japanese forces. Americal casualties were consequently less than what might be expected. The 164th Infantry Regiment landed on Guadalcanal on 13 October 1942, ahead of its brother regiments, as emergency reinforcement for the 1st Marine Division. The Regiment was the first U.S. Army unit to engage in offensive action during World War II as part of the Battle of Guadalcanal. Between 24 and 27 October, elements of the regiment withstood repeated assaults from Japanese battalions and inflicted some two thousand enemy casualties; the 164th also supported and participated in Marine attacks. The First Marine Division's commander, Major General A. A. Vandegrift, was so impressed by the soldiers' stand that he issued a unit commendation to the regiment for having demonstrated "an overwhelming superiority over the enemy." In addition, General Vandegrift took the unusual step of awarding Lt. Colonel Robert Hall, commander of the 3rd Battalion, 164th, with the Navy Cross for his role in these battles. The 164th was then occasionally referred to as the '164th Marines' due to their special relationship with the Marines on Guadalcanal. In November the 164th took part in the offensive across the Matanikau River. Other elements of the division arrived piecemeal in the last few weeks of 1942. In January 1943, the 132nd Infantry Regiment of the division took Hill 27 and 31 of the Mount Austen complex. The division later participated in offensives to sweep Guadalcanal of remaining Japanese resistance. After the last Japanese defenders were killed, captured, or evacuated from the island, the division was relieved on 9 February 1943. Despite its ad-hoc formation, the Americal Division fought well at Guadalcanal. The 164th Regiment took part in repulsing a major Japanese offensive in October 1942, while the 132nd Regiment, along with the 25th Infantry Division assaulted the highly fortified Japanese Gifu defensive complex at Mount Austen in January 1943. Historians describe the Americal Division as the most effective of all the US Army divisions in that campaign. Following the withdrawal of the 1st Marine Division, the division continued operations on Guadalcanal as part of the U.S. XIV Corps with the 25th Infantry Division (who later earned their 'Tropic Lightning' nickname here) and the 2nd Marine Division (Arrived earlier as reinforcements to the 1st MarDiv) until all of the Japanese resistance had ended. The division next moved to the Fiji Islands, beginning 5 March 1943, to assume the defense of the main island of Viti Levu and to engage in extensive training. During the period 25 December 1943 to 12 January 1944 the Americal Division landed on Bougainville, relieving the 3rd Marine Division. They were given the task (alongside the 37th Infantry Division and a Marine defense battalion) of holding and extending the right half of a previously established perimeter. Warned by intelligence, they met a massive and sustained Japanese counter-attack, which began on 7 March 1944. Despite ample warning and thorough defensive preparations, the battle soon degenerated into a bitter, close-quarters infantry affair, with artillery restricted by the need to avoid friendly troops and tanks unable to reach the scene. The 37th and Americal Divisions stood firm, and by 25 March, the Japanese were forced to retreat. It was the last Japanese ground offensive in the South Pacific. The division went on the offensive in March 1944, driving the Japanese east of Mavavia River, 7–9 April 1944, and seizing numerous strategic hill bases during the remainder of the month. Training and long-range patrol activity continued until 30 November 1944 when the division was relieved. On 8 January 1945, the division began movement to Leyte and Samar, to take part in cleaning out remaining Japanese forces on those islands, and to invade Biri, Capul, Ticao, and Burias. On Leyte, the division was relieved on 13 March 1945 and then landed on Cebu on 26 March, and seized the city and airfield by 28 March. Divisional combat teams made landings on Bohol, Negros, and Mindanao, where they cleared out pockets of resisting Japanese until 17 June when ordered to return to Cebu, arriving on 25 June. The Americal Division added by the newly local Filipino troops of the Philippine Commonwealth Army and Philippine Constabulary and the recognized guerrillas for the liberated in Visayas and Mindanao against the Japanese. Training continued on Cebu for the proposed invasion of Japan, but the Japanese surrendered on 14 August 1945. On 10 September 1945, the Americal Division landed in Japan and took part in the occupation of the Yokohama–Kawasaki–Yokosuka area. The division returned to the United States on 21 November 1945, and was inactivated on 12 December 1945. It was reactivated on 1 December 1954 as the 23rd Infantry Division, retaining the name "Americal" as part of its official designation. On 2 December 1954 the 65th Infantry Regiment was assigned to the division. The 23rd Division encompassed geographically-separated units in the Caribbean region. 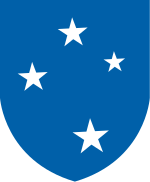 On 10 April 1956, the 65th Infantry Regiment was inactivated at Camp Losey, Puerto Rico, and relieved from assignment to the 23d, which itself was inactivated. The division served in the Panama Canal Zone until 10 April 1956, when it was again inactivated. The division was reactivated 25 September 1967 at Chu Lai in Vietnam from a combination of units already in Vietnam and newly arrived units. Its precursor, a division-sized task force known as Task Force Oregon was created in Quảng Ngãi and Quảng Tín provinces from the 3rd Brigade of the 25th Infantry Division, the 1st Brigade of the 101st Airborne Division, and the 196th Light Infantry Brigade (all brigades that deployed separately to Vietnam in 1966). Task Force Oregon operated in close cooperation with the 1st Marine Division in the I Corps Military Region. As more US Army units arrived in Vietnam the two divisional brigades were released back to their parent organizations and two arriving separate brigades were assigned to Task Force Oregon, which was in turn re-designated the 23rd Infantry Division (Americal). The division was composed of the 11th, 196th, and 198th Light Infantry Brigades and divisional support units. Both the 11th and 198th brigades were newly formed units. The Americal, in Vietnam, suffered an important defeat at the Battle of Kham Duc but gave a solid performance during the Tet Offensive, the Battle of Lo Giang and the Battle of Landing Zone Center/Hill 352. Platoon Sergeant Finnis McCleery was awarded the Medal of Honor for his valiant efforts on Hill 352. Sgt. Alan Allen was awarded the Silver Star for this same battle. Both men were members of A Co. 1/6 198th. 20 men from A Company were lost in the Battle of LoGiang on 8 February 1968. A Co. of the 198th was awarded the Presidential Unit Citation for its heroic efforts in the Battle of Lo Giang, 8 February 1968. The Americal Division became notorious after a platoon of troops from the division led by Lieutenant William Calley slaughtered hundreds of South Vietnamese civilians in the My Lai Massacre in March 1968. A helicopter crew from the division's 123rd Aviation Battalion, led by Hugh Thompson, Jr., attempted to intervene in the massacre and were later awarded the Soldier's Medal. Seymour Hersh broke the story of the massacre in November 1969, and a year later 14 officers – including Samuel W. Koster, the division's commanding officer – were charged with covering the massacre up. Most of the charges were later dropped, but Koster was subsequently demoted and stripped of his Distinguished Service Medal. For his part, 2nd Lieutenant William Calley was charged, convicted and sentenced to life imprisonment and hard labor on March 31, 1971 for the murder of 22 Vietnamese civilians. President Richard Nixon soon intervened and on April 1, 1971 ordered Calley transferred from Fort Leavenworth to house arrest at Fort Benning, pending his appeal. LT Calley, the only person convicted for the slaughter of hundreds innocent Vietnamese civilians at My Lai, eventually served only three and half years of house arrest and was released in September 1974. The 23rd Infantry Division also suffered a humiliating attack, in which Vietcong Sapper Commandos "threw satchels at the command bunker, knifed Americans in their sleep, destroyed all communications equipment, and key support infrastructure" during a raid on the American fire support base Mary Ann. The sapper attack was sharp and very successful causing 116 casualties, including 33 dead 83 wounded. The 198th and 11th Brigades were withdrawn from Vietnam in November 1971, and the division was inactivated. The 196th Brigade was reconstituted as a separate brigade and remained in Vietnam until 29 June 1972, the last major combat unit to be withdrawn. Its 3rd Battalion, 21st infantry (Gimlets) was the last U.S. maneuver battalion to leave Vietnam, on 23 August 1972. The shoulder sleeve insignia was originally approved for the Americal Division on 20 December 1943. It was redesignated for the 23d Infantry Division on 4 November 1954. On 14 December 1967 the distinctive unit insignia was approved. On the distinctive unit insignia, the blue saltire (cross of St. Andrew) alludes to New Caledonia in the Southwest Pacific where the division was created and first activated on 27 May 1942. Each of the four white stars stands for the Southern Cross constellation on its division insignia, as well as the four World War II campaigns (Guadalcanal, Northern Solomons, Leyte and Southern Philippines) in which the division participated. The anchor refers to the Presidential Unit Citation (Navy) awarded the division for Guadalcanal. The red arrowhead and Philippine sun stand for the assault landing, Southern Philippines, and the award of the Philippine Presidential Unit Citation (7 October 1944 to 4 July 1945). The unsheathed sword with point to top refers to Vietnam where the division was active. In view of the division's origin and outstanding service in World War II and inasmuch as it was one of the few U.S. Army divisions to bear a name instead of a number, the division's former name "Americal" has been taken as a motto, the association with that name being both inspirational and of historical military significance. Hugh Thompson Jr., awarded Soldiers Medal (30 years later) for his role in stopping the My Lai massacre. ^ The transports were: Argentina (1929) 20,614 GRT, Cristobal (1939) 10,021 GRT, USAT J . W. McAndrew (1940) 7,997 GRT, John Ericsson (1928) 16,552 GRT, Santa Elena (1933) 9,135 GRT, Santa Rosa (1932) 9,135 GRT and USAT Thomas H. Barry (1930) 11,250 GRT. ^ The date commonly given. Some sources, particularly Leighton & Coakley, state "cleared New York Harbor late on the 22d" so it is possible there is some confusion in GMT/local time references. ^ Williams 1960, p. 39. ^ U.S. Army Center of Military History: Americal (Infantry) Division. ^ Stanton, Shelby. The Rise and Fall of an American Army. Presidio Press, 1985. p. 186. ^ Nolan, Keith William (2007) . Sappers in the wire : the life and death of Firebase Mary Ann. Texas A & M University Press. OCLC 647013278. ^ a b c Morton 1962, pp. 204–212. ^ a b c Leighton & 1955-68, pp. 177–185. ^ Nimitz, 1942 & 311606 Jan COMINCH TO CINCPAC. ^ Gill 1968, p. 6. ^ "Department of the Army General Order 42" (PDF). US Army. Retrieved 20 July 2013. ^ "My Lai Massacre". History.com. History.com. Retrieved 20 July 2013. ^ Goodman, Amy. "Hugh Thompson's Crewmember Remembers Helping to Stop the My Lai Massacre". Democracy Now. Retrieved 20 July 2013. ^ Stout, David (11 February 2006). "Gen. S.W. Koster, 86, Who Was Demoted After My Lai, Dies". New York Times. Retrieved 20 July 2013. ^ a b c Office of the Administrative Assistant to the Secretary of the Army. The Institute of Heraldry. 23d Infantry Division. Retrieved on 11 May 2012. Gill, G. Hermon (1968). Royal Australian Navy 1939–1942. Australia in the War of 1939–1945. Series 2 – Navy. 2. Canberra: Australian War Memorial. Archived from the original on 27 September 2013. Leighton, Richard M; Coakley, Robert W (1955–68). The War Department — Global Logistics And Strategy 1940–1943. United States Army In World War II. Washington, D.C.: Center Of Military History, United States Army. LCCN 55-60001. Morton, Louis (1962). The War in the Pacific—Strategy and Command: The First Two Years. United States Army In World War II. Washington, D. C.: Center Of Military History, United States Army. LCCN 61-60001. Nimitz, Chester W., Admiral (USN); Steele, James M., Captain (USN) (1942). ‘Gray Book’ — War Plans and Files of the Commander-in-Chief, Pacific Fleet; Running Estimate and Summary maintained by Captain James M. Steele, USN, CINCPAC staff at Pearl Harbor, Hawaii, covering the period 7 December 1941–31 August 1942 (PDF). 1 of 8 volumes. Operational Archives, Naval History and Heritage Command, Washington Navy Yard, Washington, D.C.
Stanton, Shelby L. (1985). The Rise and Fall of an American Army. Presidio Press. U.S. Army Center of Military History, Force Structure and Unit History Branch (29 May 2008). "Americal (Infantry) Division". Army Almanac: A Book of Facts Concerning the Army of the United States. U.S. Government Printing Office. Retrieved 5 August 2008. Whittet, R.M. (1941). Force A of the Americal 1941–1944. Boston: The Commonwealth of Massachusetts testimonial Governor Maurice Tobin. Williams, Mary H. (1960). Chronology 1941–1945. United States Army In World War II. Washington, D.C.: Center Of Military History, United States Army. LCCN 59-60002. Americal Division: Under the Southern Cross. Turner Pub. 1996. ISBN 1563111780. OCLC 38092324. Chesley, Raymond G. (1996). Surrender, Armistice: Grandpa's War Stories. R.G. Chesley. ISBN 096541440X. OCLC 37293105. Cronin, Francis D. (1951). Under the Southern Cross – The Saga of the Americal Division. Washington, D.C.: Combat Forces Press. ISBN 0-394-58875-4. George, John B. (2012). Shots Fired in Anger: A Rifleman's-Eye View of the Activities on the Island of Guadalcanal, in the Solomons, During the Elimination of the Japanese Forces There by the American Army Under General Patch Whose Troops Included the 132nd Infantry of the Illinois National Guard, a Combat Unit of the Americal Division. Buford, Georgia: Canton Street Press. ISBN 9781934044292. OCLC 828482684. Teglia, Kenneth F. (2012). Lamb in a Jungle: Conscience and Consequence in the Vietnam War. War Journal Publishing. ISBN 9780983268314. OCLC 830634831.